This document summarizes findings of 18 research studies commissioned across 4 categories (entrepreneurship, farming, wage employment, young women's employment) to find out what works to empower women, for whom (categories of women), and where (country scenarios). 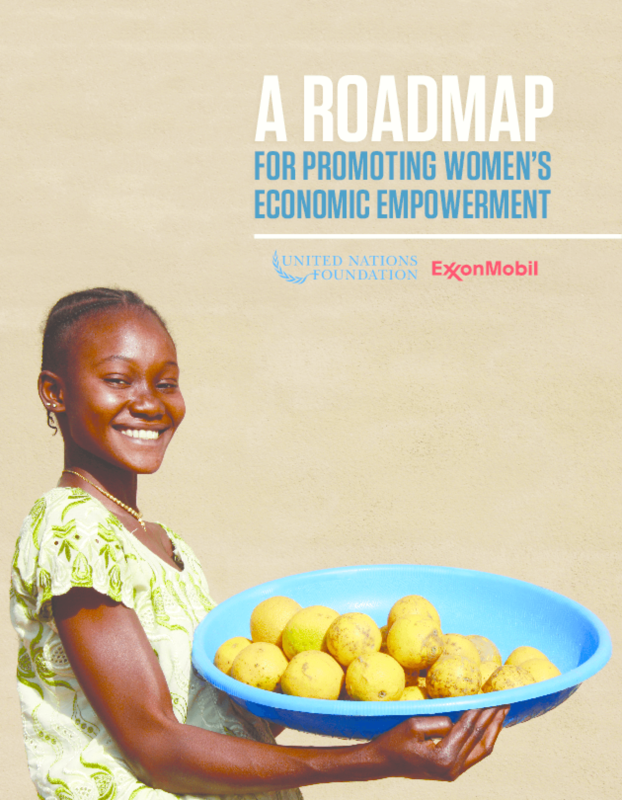 The Roadmap is designed to guide investments from private sector and public-private partnerships, and highlights 9 proven, 9 promising, and 6 high-potential interventions to increase women's productivity and earnings in developing countries. Copyright 2013 UN Foundation, ExxonMobil Foundation.